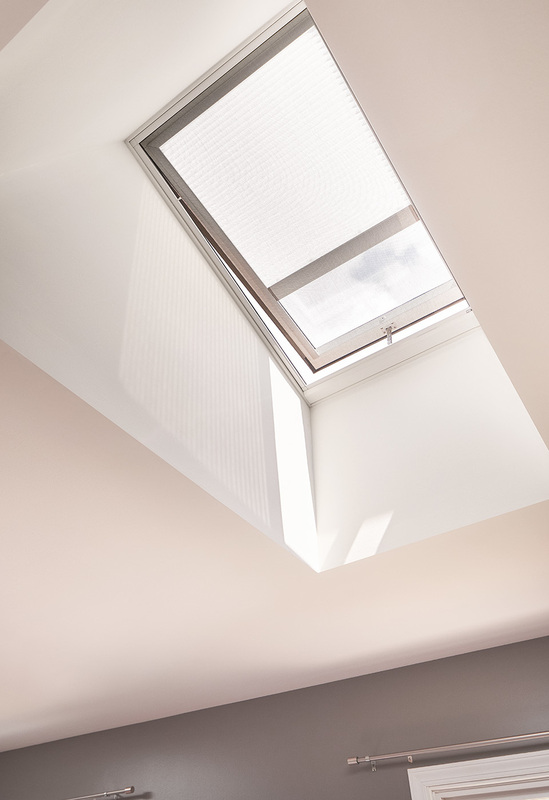 Family sees living room in a whole new light after skylight installation. 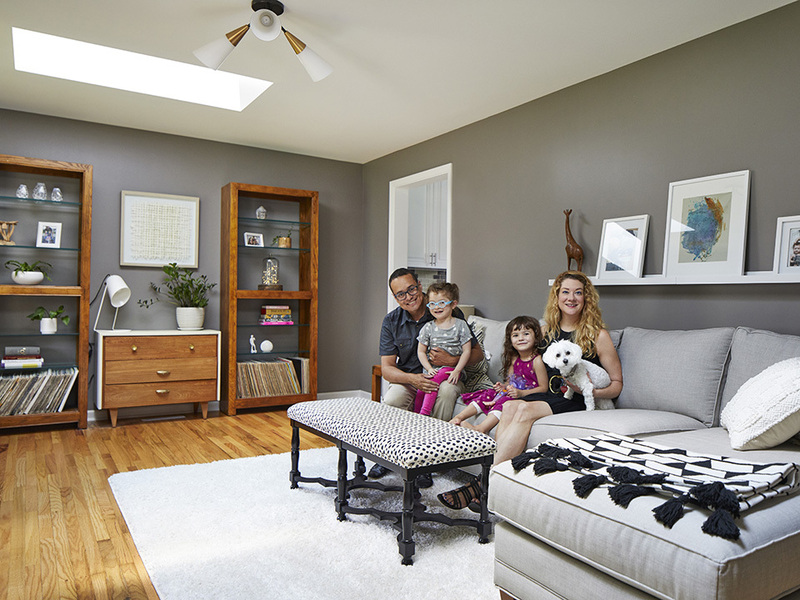 It had been nearly three years since her family of four had moved into a 1960s-era split-level ranch home in Crystal Lake, Illinois, when Amy Cuevas Schroeder began talking about adding skylights to the living room. She and her husband, Martin, and twin daughters, Isabel and Lydia, moved from Brooklyn to have more space and to be closer to family after their daughters were born. 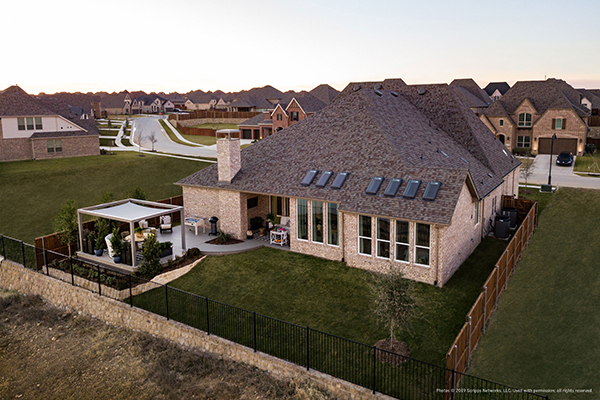 They had already done a few minor renovation projects such as painting the kitchen cabinets white to brighten them up, adding new light fixtures and removing a tree from the front yard to allow more light into the home. In the living room, Amy painted the walls a medium grey and used hand-me-down and new furniture to create a modern, but approachable black-and-white multi-purpose room that reflects the family’s interests and history. Pictured above: Before the skylight installation the living room was dark. Despite the careful thought behind the décor, the room still lacked energy. That’s because a porch overhang blocked much of the sunlight from coming in through the windows. 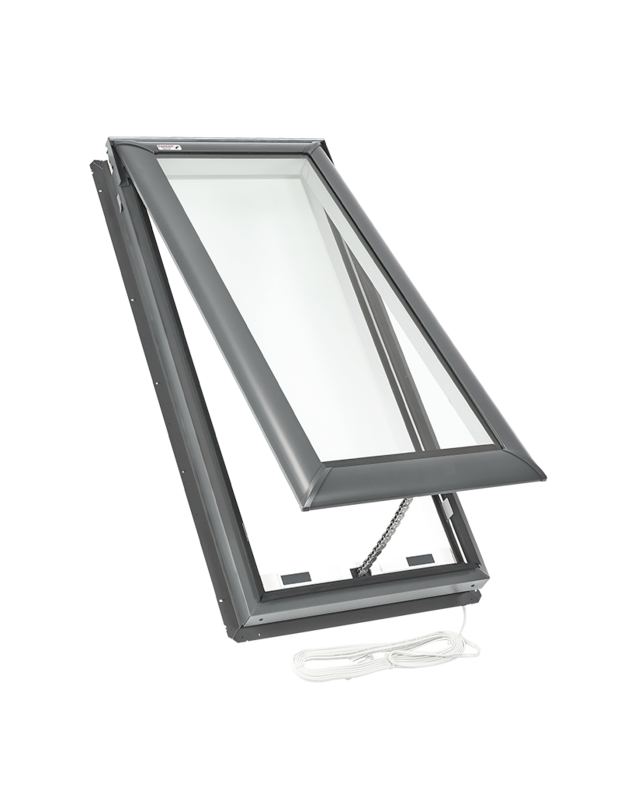 So when Amy saw a promotion in HGTV Magazine for the VELUX Fifth Wall Sweepstakes, she decided to enter. “I’m the kind of person who believes that if you put something out into the universe, sometimes it will come back to you,” she said. Well it did come back and in a big way. 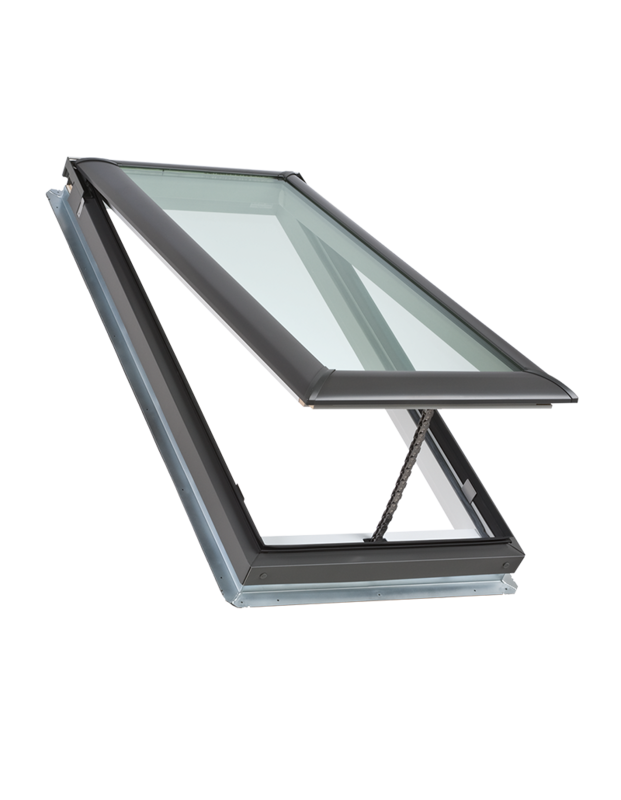 As the winner of Fifth Wall Sweepstakes Amy received two VELUX No Leak Solar Powered Fresh Air Skylights with solar powered blinds, plus installation. Now the room is, well, let’s give the mic back to Amy. “The mood of the room is happy now,” she said. “We just sat in there and stared at it for an hour. It’s so much happier and invigorating. I even moved in some new plants. The ceiling in the living room is flat, so the installers created light shafts between the skylights and the ceiling. Installation took two days. 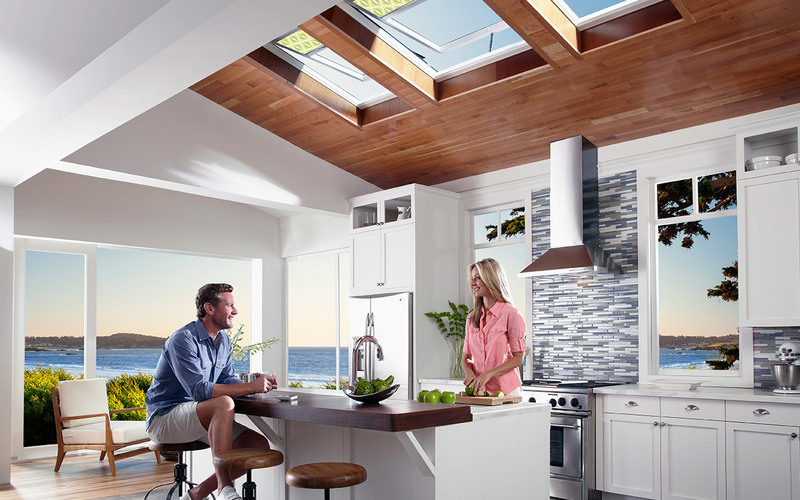 Pictured above: The skylights and light diffusing blinds are solar powered and remote controlled. And now the décor she so carefully crafted gets its due. The room she composed combines style, comfort and a story. The records on the bookshelves are just a slice of her husband Martin’s collection. He used to be a DJ and still plays guitar. She also has a music background, having published a magazine called Venus, focused on women in music. Martin used the desk for studying while earning his master’s degree, and Amy, a writer, plans to use it more now that the room has plenty of light. Pictured above: Natural light brings out the best in the decor. The chest of drawers she rescued at a garage sale; the bookshelves from her parents’ basement. The artwork is personal: her 3-year-old daughter Isabel’s painting is over the sofa, while the painting over the desk is by a Chicago artist. A carved wooden giraffe is a family heirloom given to her by her grandmother when Amy was 21. A comfy light grey sectional has enough room for the whole family and the dog, Janis Joplin. 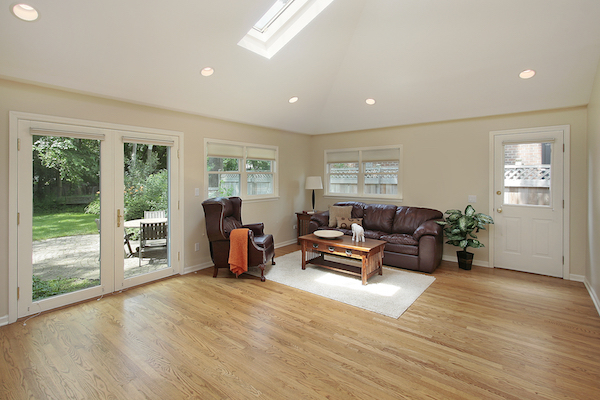 It sits on a white shag rug that reflects the natural light from the skylights. “I call myself a messy minimalist – I’m messy by nature, but I strive to be a minimalist,” Amy said. 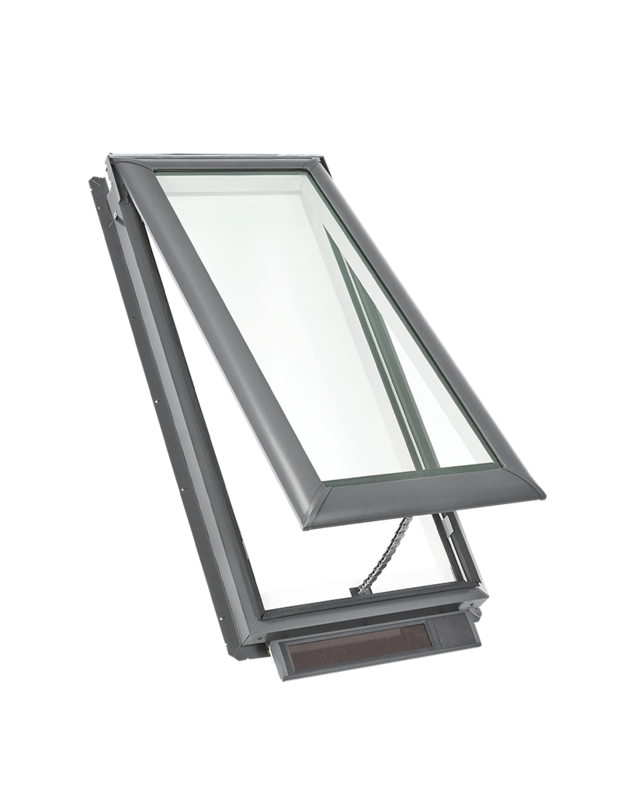 Have a room in your home in need of natural light? 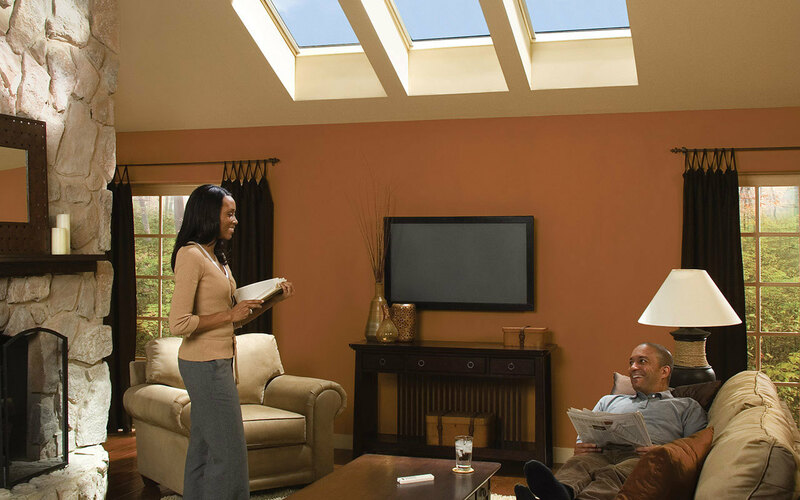 Find a skylight installer in your area and see how adding skylights can make it into a whole new space.